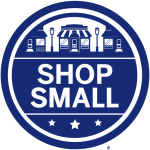 Dancing Dingo Blog: Support Your Favorite Small Business this November 24th! Support Your Favorite Small Business this November 24th! Dancing Dingo is proud to take part in Small Business Saturday, and we’re encouraging everyone to Shop Small® here at DancingDingo.com on November 24th. Plus, we’re having a special Small Business Saturday offer! Come join us online November 24th and you’ll get a special 'Deal of the Day' treat! Most importantly, get out there, Shop Small, and let’s make this November 24th the biggest day of the year for small business!